About – Chickasaw Telecom, Inc. Since its founding in 1909 as a small, multi-party line telephone company in rural south central Oklahoma, Chickasaw has grown right along with the state, playing a vital role in the growth of Oklahoma’s telecommunications infrastructure. Today, Chickasaw is a full-service telecommunications provider, offering local telephone access, long distance services, Internet access, fiber optic networking and a complete line of data networking solutions. Chickasaw also offers a full line of quality telecommunications equipment, including private telephone exchange systems (PBX) for companies from ten to 10,000 employees. Whatever your communications needs — from a simple telephone to a fully integrated communications system utilizing fiber optics and cellular service — Chickasaw works with you, one-on-one to develop total telecommunications solutions. You can count on Chickasaw for intelligent solutions that are always cost-effective. We provide innovative solutions with the flexibility to grow with you as your company grows, and as technologies change. 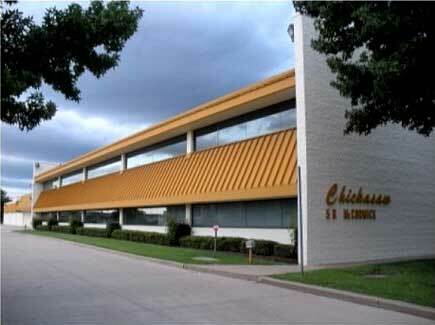 With Chickasaw, it’s never been easier or more affordable to enhance your total business operation. We can show you how to harness today’s technology to provide more complete and timely service to your customers and improve your bottom line. With more than 100 years in business Chickasaw has customers in virtually every industry in Oklahoma. Our customers include over 5000 Oklahoma businesses. As an Oklahoma company, we are uniquely qualified to help Oklahoma businesses, schools, collages, universities and organizations. Our people are local. Not in LA, Chicago, or somewhere else of no benefit to you. Chickasaw and its employees will lead the industry to exceed customer and shareowner expectations by delivering total telecommunication and information solutions. We will operate and grow on a sound basis, while enhancing career development and shareowner value for our employees. Plenty, if you’re one of the Chickasaw companies. Back in 1909, our company was created because of two mules. Chickasaw Telecom is a Cisco Customer Satisfaction Gold Star Award Winner. This is their highest award for customer satisfaction and is achieved through a third-party audit process that validates Chickasaw’s qualifications such as technology skills, business best practices, customer satisfaction, and pre-sales and post-sales support capabilities. All of these are critical factors in choosing a trusted partner. The Solution Provider 500 is an annual ranking of the top value-added resellers and technology integrators in the nation by CRN Magazine. The Metro 50 program honors the fastest growing privately owned businesses headquartered in Oklahoma City with more than $1 million in operating revenue. Our corporate social responsibility leads us to give back to our community by being active with children’s charities. We participate and donate to the Children’s Miracle Network, Oklahoma Lawyers for Children and the Kiwanis International.